Thyroid issues can cause problems in many other parts of our organism. From a slower metabolism to hormone imbalance, this small gland can be responsible for some symptoms you might have without you even realizing it. It’s responsible for protein production, regulating the heart rate and body temperature, managing the metabolism, and more. 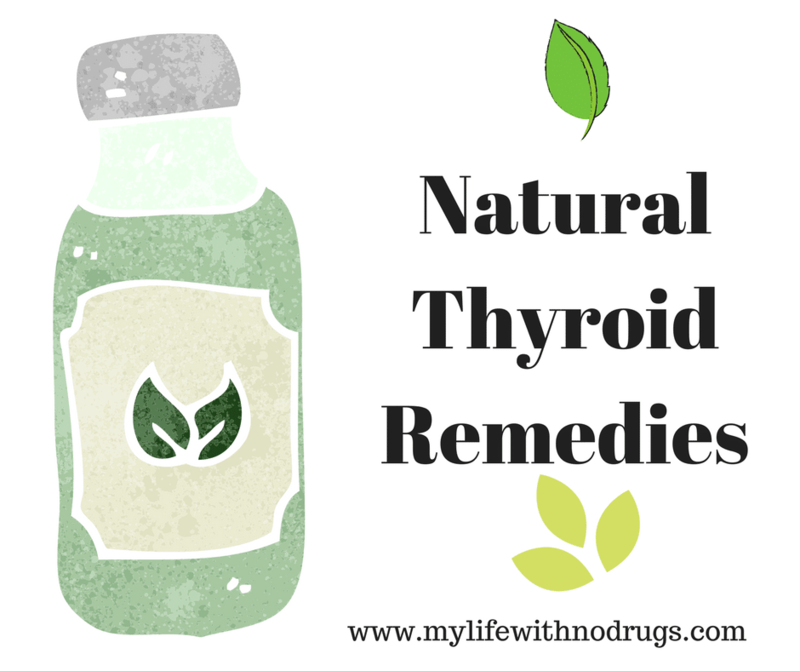 That’s why we’ve decided to share our list for the top natural thyroid remedies. Coconut oil has been introduced into the world of healthy dieting in recent years, and although some may claim it’s just a fad, it’s been proven multiple times that this natural oil can help us in more than one way. As far as natural thyroid remedies go, coconut oil is among the best. It contains a significant amount of fatty acids, which are beneficial for the metabolism. Coconut oil is easy to digest and furthermore boosts our immune system, increases our brain function, provides us with more stamina, improves our mood, and helps stabilize our blood sugar levels – all of which are extremely important for thyroid health. There’s nothing like an adaptogen herb to help keep your hormone levels in check and enable your body to respond to stress healthily. That’s why Ashwagandha is on our list of natural thyroid remedies. Herbs like this one are used to lower cortisol levels while balancing T4. Clinical trials have proven that Ashwagandha supplements helped hypothyroidism patients increase their thyroxine levels over the course of 8 weeks, which in turn helped them manage their disorder. Other adaptogen herbs include ginseng, Rhodiola, holy basil, and licorice root, which all have a similar effect as natural thyroid remedies. In case you didn’t know, your thyroid gland is where your body stores the largest amount of selenium. With that being said, it’s only logical that selenium is beneficial for your thyroid and that you need to consume it to have a healthy thyroid, isn’t it? The T3 thyroid hormone cannot be produced if there is no selenium in the thyroid, while it can also help lower the chance of autoimmune symptoms. When it comes to lowering anti-thyroid antibody levels and boosting thyroid gland’s structure, nothing will ever beat selenium in its efficiency as one of the natural thyroid remedies. Another great provider of omega-3 fatty acids is – as you’ve probably already known – fish. These acids are of utmost importance for thyroid health, while also being beneficial for proper brain function and cholesterol levels. The fish you want to focus on are mackerel, sardines, and of course, salmon. These are among the best when it comes to omega-3s, which can be of great aid for a healthy neural function, a good immune system, diabetes and anxiety management, and more. We all know how important amino acids are for our well-being and how many things they can affect. Regarding thyroid health, there is one particular acid that’s of crucial importance for the production of thyroid hormones – L-tyrosine. The extremely important Thyroxin (T4) hormone is naturally synthesized via the iodination of L-tyrosine. This nonessential amino acid can be obtained – aside from the body making it on its own – from high protein foods like lean meat, eggs, and salmon. Not a lot of people know about the beneficial effect iodine has on our organism regarding thyroid management. Well, if you want to prevent thyroid function disruption, you need to avoid deficiencies. And if you want to avoid deficiencies, you’ll need a lot of iodine – which is why it’s on our list of natural thyroid remedies. According to studies even 250 micrograms of iodine supplement can cause small, yet significant changes in the thyroid hormonal function. Seaweeds, eggs, fish, raw dairy – all of these foods pack quite a lot of iodine, so make sure to include them in your diet. Essential oils are, well, essential for any diet that focuses on improving thyroid function and lowering the symptoms of most autoimmune diseases, which is why we simply had to include it on this list of natural thyroid remedies. For example, lemongrass oil combined with myrrh can be beneficial for the thyroid when rubbed directly on the thyroid area. About 2 to 4 drops a couple of times per day will do the job. On the other hand, citrus oils and peppermint can help lower fatigue, while adding a mixture of chamomile, lavender oil, and frankincense to your bath can seriously reduce your anxiety and serve as a mood-booster. Dr. Izharul Hasan in his Encyclopedia of Home remedies for better life stated that The thyroid gland is one of the most important glands of the human body located in the throat. The location of the thyroid gland is just below the lump that appears in the male throat known as Adam’s apple. The thyroid gland produces hormones that are responsible for managing the process of metabolism. Metabolism is the process that produces energy from food. Food is processed in a chemical reaction with oxygen to produce heat and power. This is the way in which the body can provide power for its various functions. The thyroid gland stimulates this function based on various factors such as the need for energy as well as the availability of fuel for energy production. There are other important areas where the thyroid gland works as well. The hormones released by the thyroid gland control important functions such as the body’s use of vitamins as well as the body’s production of muscle tissue. Two different conditions can affect the thyroid gland. These are hypothyroidism and hyperthyroidism. Hypothyroidism indicates the slow functioning of the thyroid gland. This would mean that metabolism and muscle growth tend to slow down. Hyperthyroidism, on the other hand, occurs when the thyroid gland is functioning at an excessively high speed. Both these conditions are treatable if they are caused by some hormonal or chemical imbalance. However, in some cases, cancer could cause one of these problems. This involves a different and usually less successful course of treatment. As hypothyroidism and hyperthyroidism are two separate conditions, they have different causes that act as triggers. There is obviously some relation between these objects as they affect the same gland. However, it is still necessary to differentiate the symptoms based on the type of thyroid issue that has affected the individual. For hypothyroidism, the causes include genetic issues, tissue damage and defects in the tissue itself. Genetic issues may lead to the poor development of thyroid tissues. This would mean that the gland is less developed than it should be. The individual may, therefore, suffer from insufficient thyroid function. Tissue damage can occur as a result of physical injury, radiation damage or antibody damage. Physical injury to the throat may damage the thyroid gland which would lead to hypothyroidism. Radiation damage is associated with aggressive medical treatments, such as those used for cancer. This can shrink the gland or damage some of its tissue which would slow down the production of thyroid hormones. There are also some autoimmune medical conditions that could cause damage to the thyroid gland. An autoimmune condition is one where the body is attacked by its immune system because of some perceived threat that has affected a part of the body. This threat does not exist. The damage that occurs to the body comes from the attack of the immune system which damages otherwise healthy tissue. Hyperthyroidism may be caused by conditions that include thyroid gland inflammation, goiter, Grave’s disease and issues with the pituitary gland which, itself, stimulates the thyroid gland. People who suffer from thyroid cancer also tend to be affected by hyperthyroidism until their radiation treatment kicks in. Once this happens, the chances of hypothyroidism occurring are increased as some of the functioning thyroid cells will also be damaged by the process of radiation. According to Dr. Izharul Hasan, Thyroid problems tend to put the body into a state of imbalance. Therefore, when we speak of the diet for thyroid problems, it is important that this balance is brought back. To do this, one needs to follow a balanced and healthy diet. A balanced and healthy diet is one that includes all the important food groups in it. These food groups include fresh fruits, fresh vegetables, proteins, carbohydrates, vitamins, minerals and even fat. Heavy meals should be avoided altogether as these contain excess quantities of fat and may provide the body with more nutrition than it needs or that it is capable of using efficiently. The individual should also avoid processed foods and food or drink filled with stimulants. A shift to a healthier diet is, in any case, good for the body and will help to provide the body with all of the required nutrients. For people who are suffering from hypothyroidism, it may be necessary to have food that helps with the production of energy. This includes items that may contain some stimulants like caffeine. It is still necessary, however, to make sure that the consumption of such food items occurs in moderation as this is best for the health of the individual. An individual suffering from this type of thyroid issue will also be prone to putting on weight as the body does not use as much of the nutrition as it should be using. Thus, the diet should be light and filled with fresh foods. All heavy foods should be avoided at this stage until the thyroid condition begins to normalize through various medications and treatments. 1. The natural thyroid remedies for thyroid problems depend on the type of thyroid issue that has affected the individual. For those with hyperthyroidism, it may be necessary to cut back on various foods that are stimulating to the body. In any case, the body will be producing more energy than it is supposed to because of excess thyroid stimulation. Therefore stimulants should be eliminated from the diet. 2. One must also spend time burning the excess energy produced which is why exercise is important at this stage. Naturally, there is a need to visit a doctor who will guide the course of treatment. 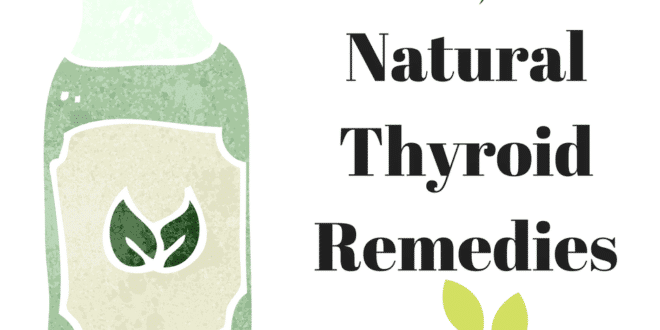 In many cases, natural thyroid remedies. are not associated with the condition itself. 3. The problem of an overactive or underactive thyroid may be caused by some other condition. The treatment for that condition will eventually end up helping to normalize the functioning of the thyroid gland. 4. There is also the suggestion that non-medical techniques can be used to help improve the efficiency of thyroid gland function. A yoga program can be used to help improve the flexibility and efficiency of the body. This will also help to improve blood circulation. It is theorized that this will improve the functioning of the thyroid gland. Thanks for sharing a great article again.